Home > Blog > New pins! Say hello to some rather lovely new enamel pins! Four new designs are now available to purchase. 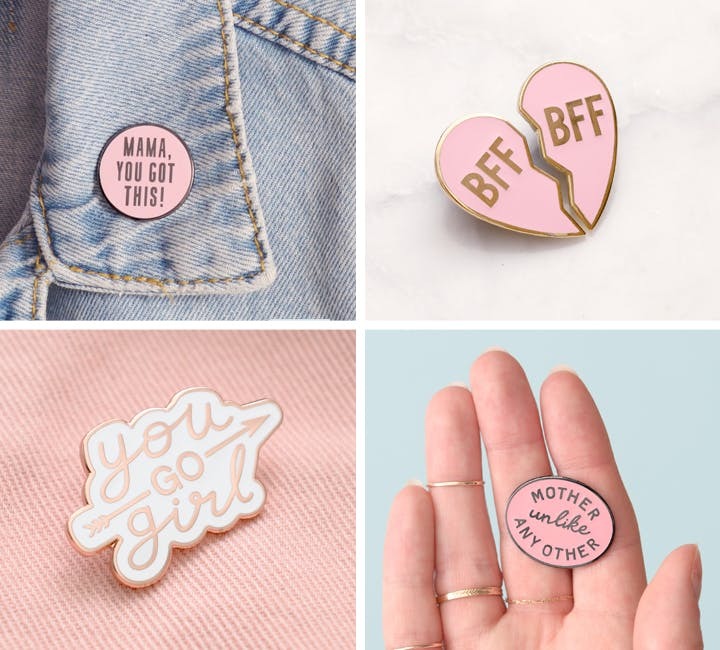 We've got the perfect pins for unique mamas, best friends and awesome ladies! Our pin badges are perfect for jazzing up your denim jacket, tote bag, backpacks, whatever you can think of really! They make a lovely thoughtful little gift and are the ideal size for popping inside a card as a little extra treat. Mama, You Got This - Pop this enamel pin on your lapel and never forget it! Made from pink hard enamel and black toned metal with a rubber clasp. They are an ideal little gift for a baby shower or new mum who needs reminding that she has totally got this! 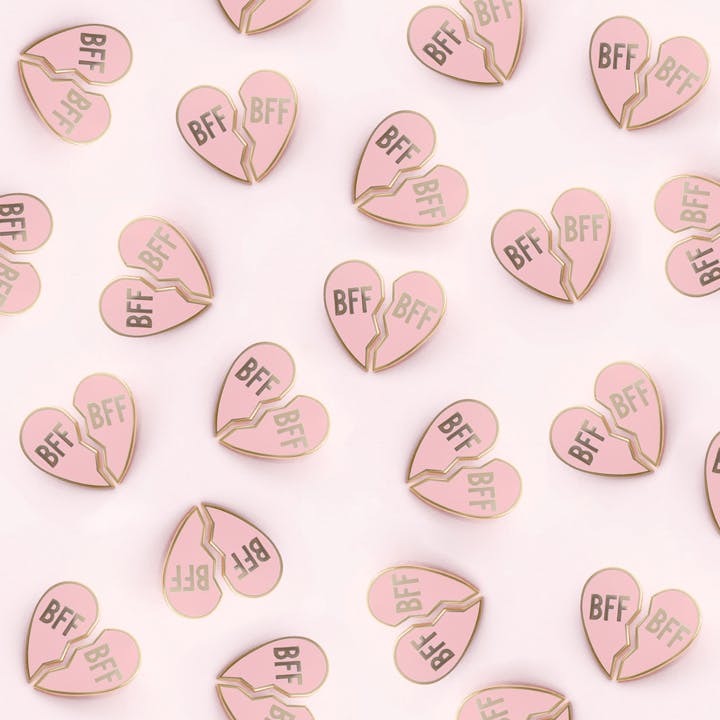 BFF Pin Set - Present your very best friend with half of this super cute BFF pin set and they will be your best bud for life! A set of two lovely shiny enamel pins, which when placed next to each other join perfectly to make a heart! Made from pink hard enamel and gold toned metal. You Go GIrl - No matter what the situation, with this enamel pin on your jacket you can handle anything! Made from white hard enamel and copper toned metal. Would make a lovely graduation or exam results present! Mother Unlike Any Other - The perfect pin for all mums doing it their own way! Made from pink hard enamel and black toned metal. A sweet little pin for the unique mum in your life. We hope you like our newest additions! Take a closer look at all of our enamel pins by clicking here.